This is Dale Edaakie's newest creation for Marti Struever. 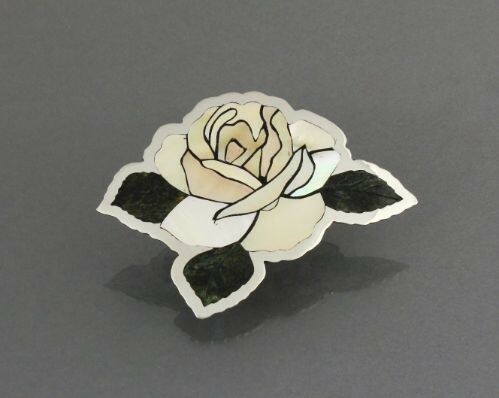 It is a beautiful yellow rose hand inlaid of shell on silver. Dale recently demonstrated to our field trip group the process of inlaying a rose pin. The pin is a large 3 1/4" wide x 2 5/8" tall. Signed Dale Edaakie. Part of our summertime steals.